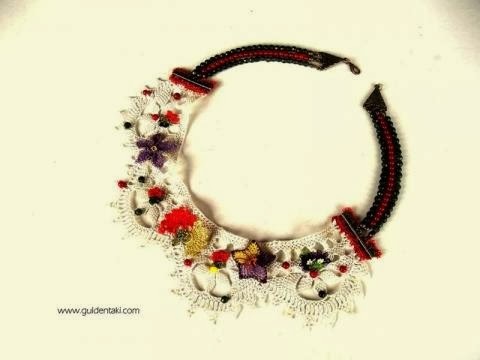 This Needle Embroidered Collar Necklace is a wonderful gift to yourself or to your loved one. The most beautiful needle lace is the silk one. 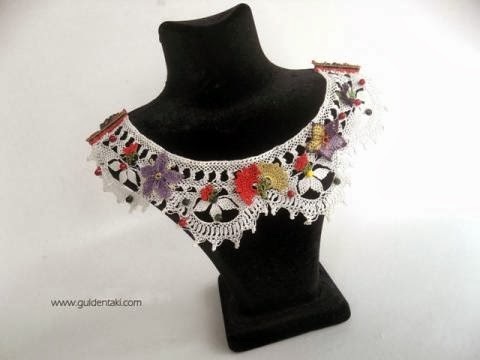 Collar necklace is handmade. İt is needle lace. You can wear it straight on your skin as a necklace around your neck with a strapless blouse. Prepared in a smoke-free , pet free home. Packaged with care.